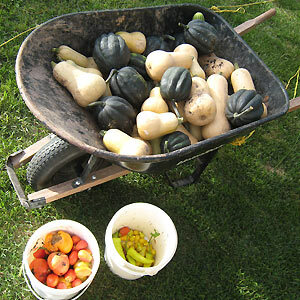 Today I picked over 40 squash from the garden. That’s just insanity. Reminder to ourselves for next year: we don’t need this much winter squash. I have to admit it is fun to give them away, and they do store a long time in the garage, but still. Craziness.